A critical reflection on community, power, and identity in the New South. In this week’s episode, Scot French (University of Central Florida) and Julian C. Chambliss (Michigan State University) discuss the critical role of memory in shaping perception of community history. A Conversation with Diedre Faith Houchen about Black Education and Liberation In this week’s episode, we delve deeper into the black social world by examining a liberatory tradition in education. Historically, achieving education and economic stability were priorities for African Americans after the Civil War. The effort to achieve access to education is one defining aspect of the collective activism we see in black communities since Reconstruction. Those struggles continue, but to learn more about the legacy of education activism I spoke with Diedre Houchen, a postdoctoral associate for the Center for the Study of Race and Race Relations in the Levin School of Law ( https://www.law.ufl.edu/areas-of-study/centers/csrrr) at the University of Florida at Gainesville. Houchen's work exploring black teacher activism in the early 20th century sheds light on the hidden network of black educators that shaped the civil right narrative in Florida. About Diedre Faith Houchen, Ph.D. Diedre F.
In this episode we discuss what we mean by New South and the implications of thinking about Winter Park, Florida as a window on southern history after Reconstruction. In this episode Julian Chambliss (Michigan State University) and Scot French (University of Central Florida) talk about the knowledge gleamed from doing digital history in a local context. 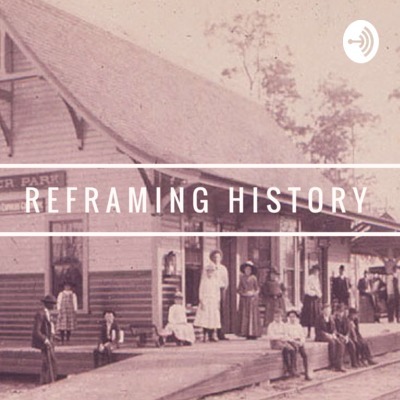 In this episode Julian Chambliss (Michigan State University) and Scot French ( University of Central Florida) discuss how they approach the idea of changing the community history for Winter Park, Florida. In this episode Dr. Julian Chambliss and Dr. Scot French discuss the process of re-imagining a community history narrative. In this episode Julian Chambliss ( Department of English and History at Michigan State University) and Scot French (Department of History, University of Central Florida) discuss finding the pathway to rethinking the local history narrative for Winter Park, Florida. A podcast exploring community history.